The University of Cincinnati’s new Carl H. Lindner College of Business facility will open in the fall of 2019 with a new named institute. The Kautz-Uible Economics Institute is a continuation of the Kautz-Uible Fund, a critical component of UC’s Economics Department. The new institute will offer additional resources to students, faculty and the community including a research initiative, an international scholars program and enhancements to the Women in Economics program. Future research initiatives and visiting international scholars. 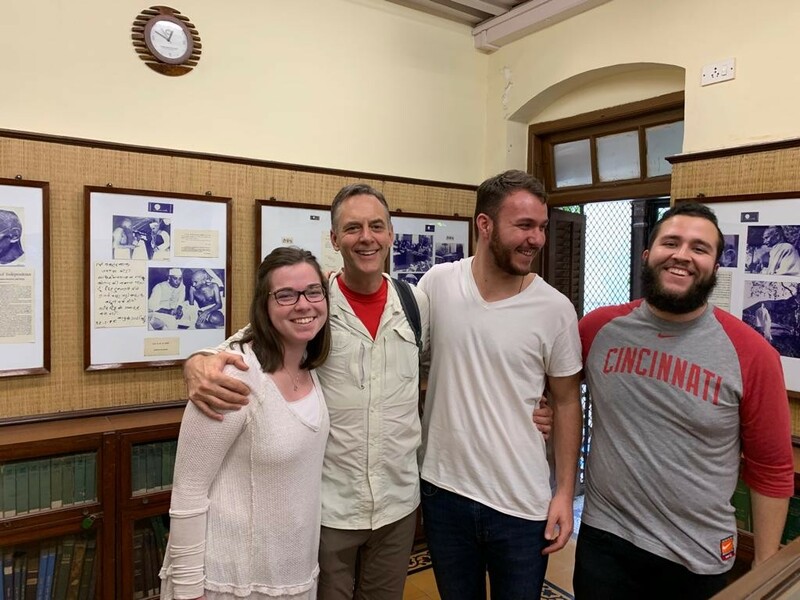 Dan Kautz with UC students Abby Klare, Ben Leonardi, and Mexico Lucero in Mumbai, India. Photo/Courtesy Abby Klare. The Kautz Family, through the Kautz Family Foundation, and Woodrow (Woody) Uible, BA, ’75, have supported the economics department with numerous gifts while also sharing their time and expertise to enhance the program for Lindner students. Recently, Dan Kautz and Woody Uible collaborated on a joint $2 million gift to further elevate the established endowment of the economics department. Through the Kautz-Uible Economics Institute, students will learn how to conduct economic research benefiting local government agencies, business start-ups and nonprofits. For example, student research could help local food pantries predict future demands. Local businesses will be able to take advantage of strategy workshops. Uible is a principal and senior investment advisor at Bartlett Wealth Management in Cincinnati and a former University of Cincinnati Foundation trustee. Kautz resides in Tucson, Arizona and has been a consistent supporter of his father’s alma mater and along with his sister, Leslie Kautz, serves as a trustee for his family’s foundation. Since 1969, the family has contributed more than $7 million to UC. His father, Jim Kautz, BA ’53, HON ’95, established the Kautz-Uible Fund in 1982. Jim’s commitment, kindness and generosity toward his alma mater was extraordinary. An Emeritus Trustee and former UC Foundation chair, Jim was a recipient of the President’s Award for Excellence due to his support of UC’s mission. When I was a student at UC, the faculty generated a passion in me for the study of economics, which has been very rewarding. 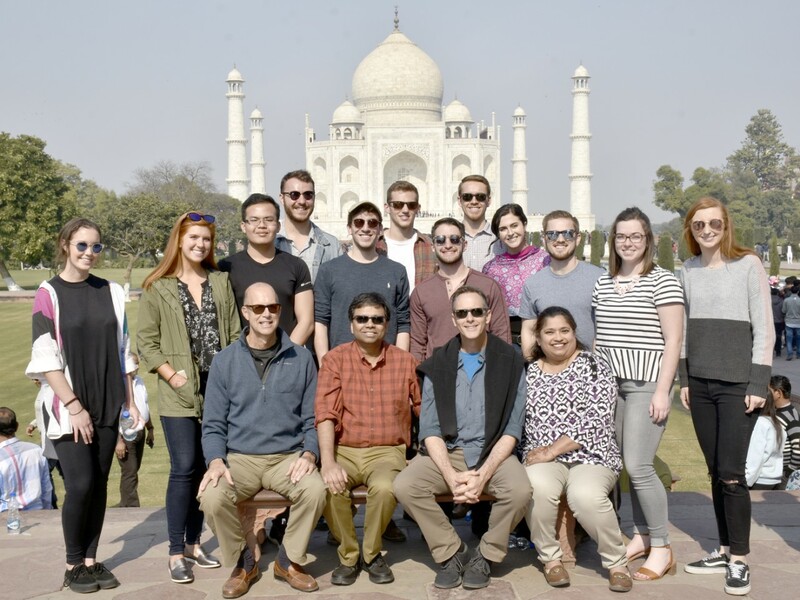 In January 2019, Kautz and Uible traveled to India with the Department of Economics. Many of the students on the trip received scholarship support from the Kautz-Uible Fund for this study abroad experience which included visits to companies, government entities, colleges and cultural sites. Klare is a Kautz-Uible Amanda Wait fellow, a Carl H. Lindner Honors-PLUS scholar, and receives funding for school, as well as events, lectures and mentorship opportunities. Over the past four years, the Carl H. Lindner College of Business has received national acclaim from multiple media sources, including earning the second largest ranking increase of any Top 100 undergraduate business program as well as being ranked No. 35 among public fully online MBA programs in the nation in U.S. News & World Report. Most recently, Bloomberg Businessweek ranked the Lindner MBA program No. 1 in Ohio and No. 4 in the Midwest for learning as well as No. 37 overall among national public universities. Featured image at top: Woody Uible (sitting, left) and Dan Kautz (sitting, second from right) traveled to India with UC students in January. Photo/Courtesy Debashis Pal/UC Carl H. Lindner College of Business.